Ursula’s father, Alfred, was no oil baron, but he did all right. Several years before, he had sold his San Francisco funeral home business at a good profit, and the 1910 U.S. Census lists his occupation as “Own income.” That year, the Cheshires’ neighbors included another man of independent means, as well as households headed by teachers, printers, real estate brokers, engineers, salesmen and more. 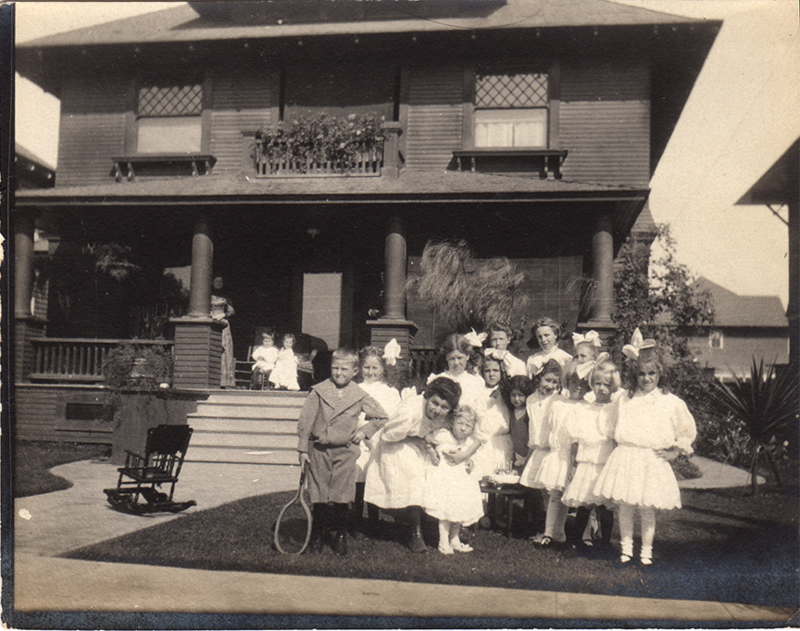 A few of the families on their block employed live-in servants. 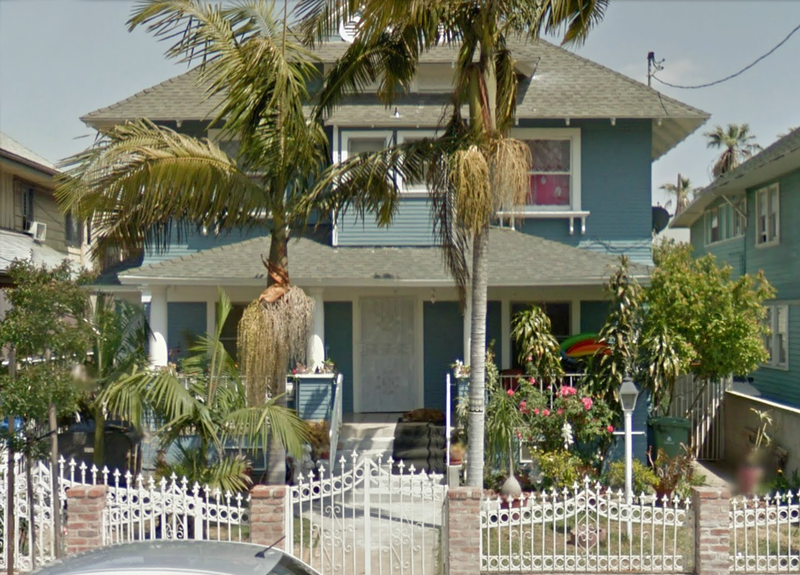 The house at 1422 Malvern Avenue is still standing today — painted teal and sprouting palm trees in the front yard — albeit in a changed neighborhood. 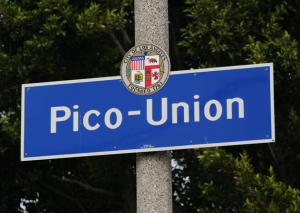 Now home to immigrants from Central America, Mexico, Cuba and Korea, Pico-Union is, according to the Office of Historic Resources, a district of great ethnic and socioeconomic diversity with a mixture of single-family and multi-family housing. 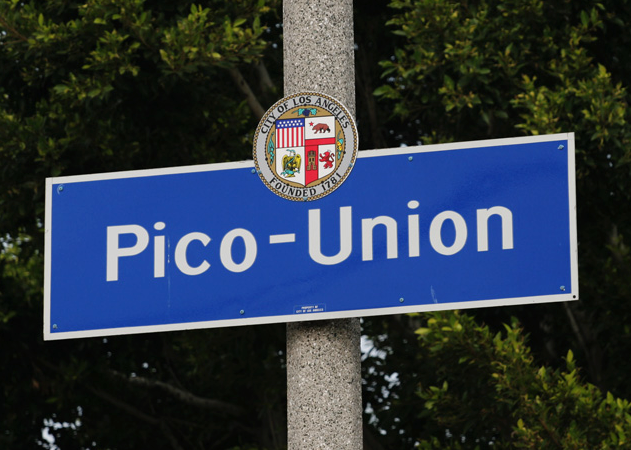 If you’re ever in LA and want to see the ‘hood — which was designated a historic district in 2004 — check out this self-guided walking tour. thanks Liz! The neighborhood being for “oil barons” – quaint. As is the photo of all the girls’ white dresses requiring all that ironing!!! Interesting! The home looks so beachy in the current photo.